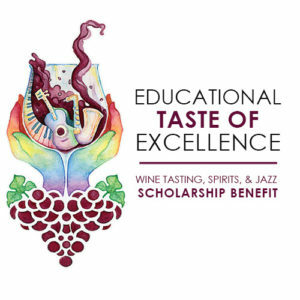 The 24th Annual Educational Taste of Excellence: Wine Tasting, Spirits & Jazz event will be held on Saturday, March 9, 2019 from 6 pm -10 pm at the Palace Station Hotel & Casino. Champagne Toast: An Educational “Toast” to Excellence will take place at the beginning of the event. Wine Tasting: Guests will be dressed in understated elegant, evening attire while sampling over 110 domestic and imported wines from over 25 wineries; spirits and beer. Food Tasting: Sample gourmet delights prepared by restaurants and catering companies; and pair with selected wines. 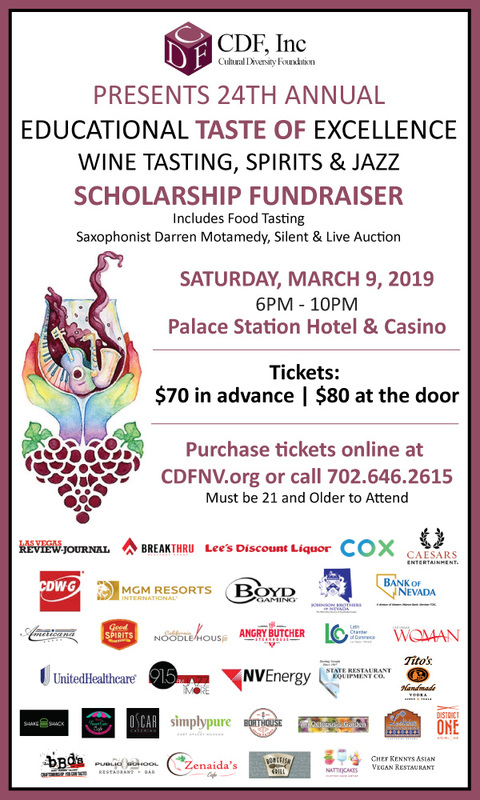 Live and Silent Auction: Guests will have the opportunity to bid on items donated by various hotels & casinos, airlines, restaurants, golf, and more! Scholarship Recipients: Scholarship recipients will be introduced and recognized for their academic achievement. ONLINE TICKETS ARE NOW CLOSED! TICKETS CAN STILL BE PURCHASED AT EVENT.